Today morning we saw buyers trying to dominate the NG market and NG futures were trading at as high as 208 on MCX. Investor's main focus was NatGasWeather which sees low temperatures back to as low as minus 20 degrees next week in the northern United States. This should lead to renewed demand. The East could get a break around February 10-11, but another cold blast could hit the Midwest and Northeast February 12-14. NatGasWeather said. “It’s just the mild break over the South and East this weekend into early next week is a demand killer and really stands out. Last week there was expectations of a bounce back after the release of the EIA report but buyers were not able to dominate since the there was good enough supply. The expert consensus indicates that traders should be looking for a withdrawal of about 180 Bcf for the week-ending January 25. Last year, we saw a 126 Bcf withdrawal. The five-year average draw is 150 Bcf. Bloomberg projects a range of 165 to 228 Bcf, with a median of 197 Bcf. Reuters is looking for 165 to 207 Bcf, with a median of 189 Bcf. International Exchange (ICE) futures settled Wednesday at a 184 Bcf withdrawal. 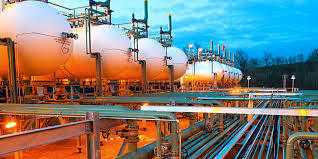 Looking at the Natural Gas EIA report released today, Working gas in storage was 2,197 Bcf as of Friday, January 25, 2019, according to EIA estimates. This represents a net decrease of 173 Bcf from the previous week. The withdrawals were less than expectations. With the release of EIA report, it is clear that oversupply is still an issue. Buyers tried to take over the market but seems like sellers are not willing to compromise at this point. There could be a small adjustment in upcoming sessions but overall trend is bearish. With EIA report released in red, expect the prices to continue to decline for the rest of week. Watching the cold weather buyer might jump in again but these rallies would last long. For investors, it is advisable to create a short position. For upcoming sessions, expect NG futures to trade at 195-192.